ALTERNATE LOCATION! Show is NOT at Green Wood. 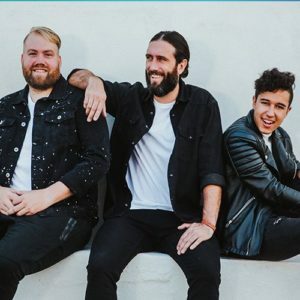 From humble beginnings as an acoustic vocal trio, GLG has grown into a dynamic, matured sound that entertains with fun music while plumbing the depths of a faithful believer's walk. Songs like "Tiptoe" leave their hooks stuck in your head while encouraging an unwavering pursuit of truth. "Olly Olly Oxen Free" is an invitation to the lost to come out of hiding without penalty, and features a layered gospel choir in its final choruses. Lead singer/songwriter Scott Phillips even dabbles briefly with hip hop in a tongue-twisting rap encouraging perseverance in the face of suffering, in the crowd-pleasing anthem, "Glory Is Coming." The band breathes new life into an old favorite - their celebratory remake proves that "How Great Thou Art" isn't just for funerals anymore!